Hey did you just edit the core? 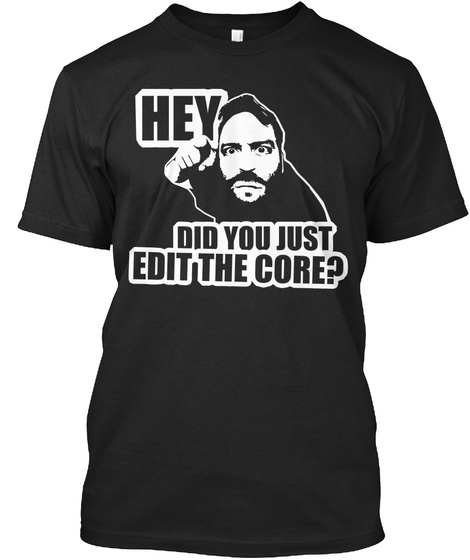 The core hack meme t-shirt for Magento community, featuring the admonishing Ben Marks. Photo by Anthony Ferrara, design by Michele Ruozzi, idea by Alessandro Ronchi. Not-for-profit sale, you only pay for printing costs.